If one looks closely at the plague of frogs, one notices a peculiar grammatical error: “Aaron held out his arm over the waters of Egypt, and the frog came up and covered the land of Egypt” (8:2). Should it not have said “frogs”? 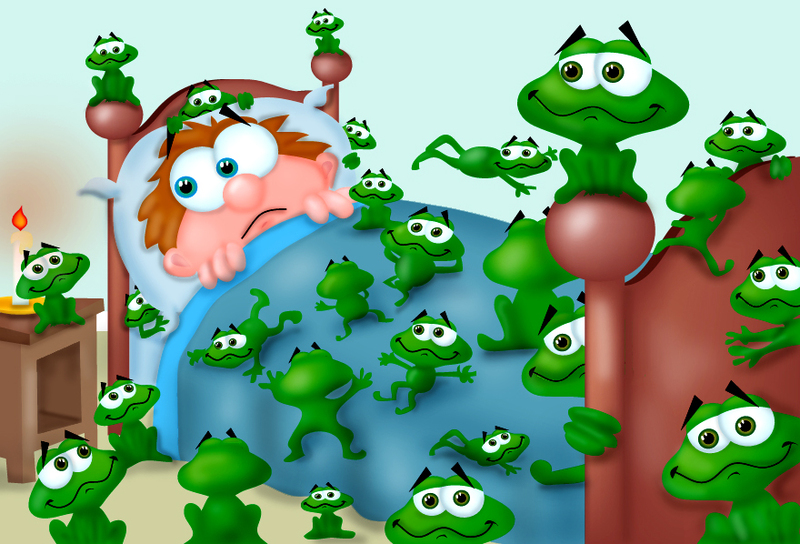 Surely, the plague was more than just one frog jumping around causing havoc! Rashi quotes a Midrash which explains that there was originally only one frog, but the Egyptians angrily hit the frog repeatedly and the frog begot many more, increasing with each hit. As fascinating as this explanation seems, one could ask a simple question: Did the Egyptians not realize early on what was happening? Did they not clearly see that they were causing their own plague? The Steipler Gaon, Rav Yaakov Yisrael Kanievsky, answers with a lesson which is simple to grasp but difficult to master: The emotion of anger does not function through logic. The Egyptians knew -intellectually- that hitting the frog would only hurt themselves, but their anger made them feel like they had to do something, to react, to cause pain to the frog. It may sound strange, yet we all do it. How often do we prolong an argument or debate which we know will accomplish nothing but pain, yet we feel emotionally compelled to react nonetheless? The lesson of the frogs is that our emotions cannot be the sole determinants of our choices. Passion has its purpose, but it should be guided by honest, logical reasoning of what is truly appropriate. Otherwise, we may end up plaguing ourselves.